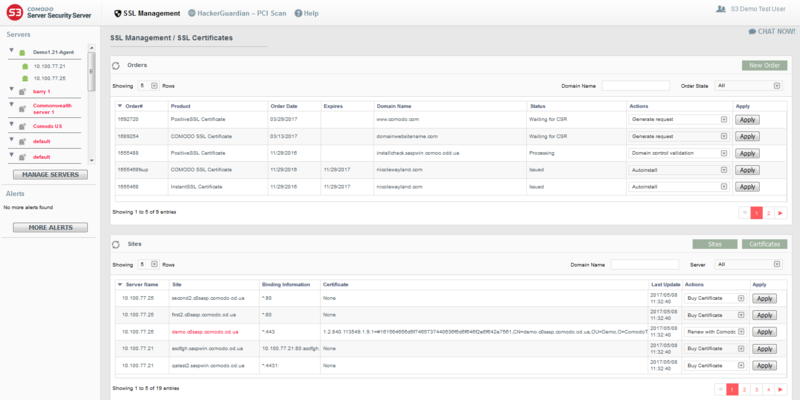 Discover all certificates on your network, regardless of provider, to enable remote management of your entire certificate inventory. Generate and submit a CSR, complete domain validation and automatically install your certificates in a few easy steps. SSL certificate management tool consolidates disparate processes of getting a certificate installed into a single, easy to use interface. Get reminders when certificates are due to expire and utilize a built-in chat feature which allows you to speak directly with support. 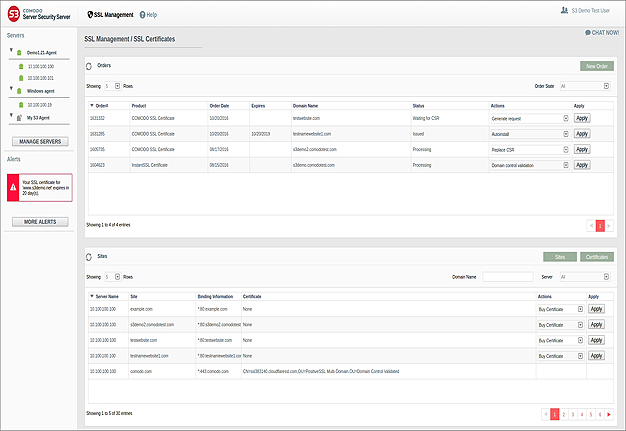 Run scans and get reports you need to submit for PCI compliance using the intuitive interface and quick setup wizards. Receive a comprehensive vulnerability report detailing any security issues identified by the scan with remediation advice. Perform vulnerability assessment scans backed by Comodo, a PCI Security Standard Council Approved Scanning Vendor. 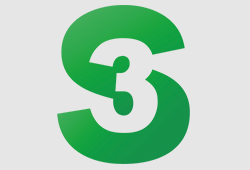 Fill PCI Data Security Standard (DSS) 3.2 SAQ for merchants and service providers not required to submit Report on Compliance (ROC). 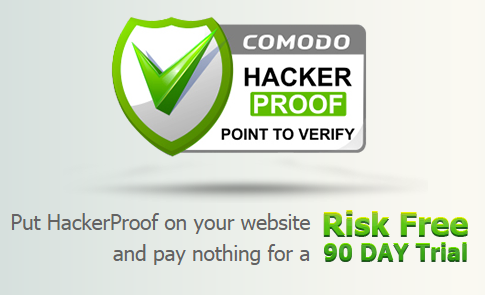 Identify security holes and ensure visitors that your website meets Comodo HackerProof® trust mark standards. Analyze your website's security from a visitor's point of view using a web-based management tool. 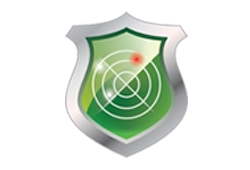 Comodo is synonymous with trust and security to millions of consumers and businesses. Features exclusive technology to display a floating HackerProof TrustLogo® on the bottom right corner of your website. * Website security platform, PCI scanning and website vulnerability scanning limited to one license per-account for 90 days. 100% online application, validation and issuance mean your certificate can be issued within minutes of your purchase. There's no documents or paperwork to fax in – you get your certificate and site seal in no time and can be ready to conduct business online. Buy with confidence because. If you are not completely satisfied with any aspect of your purchase, Comodo will refund your money without any delay or hassles. By choosing Comodo, your site will enjoy the highest security levels and you'll also receive additional tools that will win customer trust and increase sales conversions. 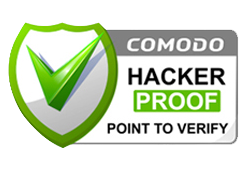 For example, the Comodo dynamic site seal features unique ‘point-to-verify' technology which provides real time verification of your security credentials and warranty whenever a visitor places their mouse cursor over it. You'll also benefit from the highest levels of encryption for online transactions, unlimited server licenses, dedicated customer support, $250,000 warranty, free S3 SSL certificate management tool, HackerGuardian Enterprise PCI scanning and HackerProof website vulnerability scanning. From just per year, a Comodo SSL certificate represents an unbeatable trust package for your website. I am using your SSL . I am really happy.